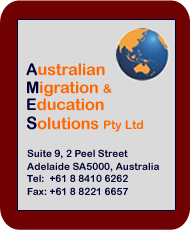 Australian State Migration Plans (SMP) are formal agreements between State and Territory Governments and the Department of Immigration & Citizenship (DIAC). The State Migration Plan enables the State Government to identify, target and sponsor the skills in demand in their particular State and specifies the types and the numbers of occupations available for nominating skilled visa applicants. Working through the SMPs can be pretty time comsuming: you can save yourself a lot of time, effort and frustration if you let AMES do the work for you: order an Eligibility Assessment Report from us and we will include a summary of the SMPs that will be of most interest to you (if any). If you then appoint us as your Migration Agent, we will refine this into firm recommendations as to which States and Regions are your best options for finding employment and getting a visa.